Some individuals are turned off by the notoriously harsh winters that afflict Michigan public colleges and universities. However, the cold has a bonding effect that manages to bring people together. Except for the occasional college stadium football game, you will not need to go outside very much. Expect to spend many nights and weekends in sports bars cheering on your favorite team over a few pints of beer (but not before your schoolwork is all finished). Also not, Michigan's metropolitan areas are experiencing a recovery. The state is in transition, moving from its manufacturing past to a future based in alternative energy, the life sciences and technology. Looking for a Michigan Public College? 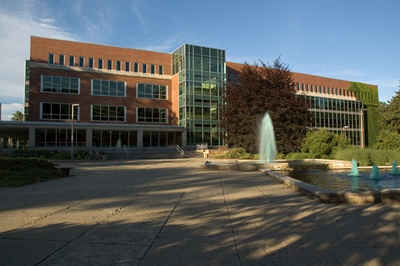 he state has five medical schools, as well as five law schools which are accredited by the American Bar Association. The majority of Michigan's post-secondary institutions are accredited by the North Central Association of Colleges and Schools (NCA). Most are accredited by multiple agencies, such as the Commission on Collegiate Nursing Education (CCNE), the National Association of Schools of Music (NASM), and the National League for Nursing (NLNAC). Michigan's higher education system isn't overseen by a governmental agency. Instead, the power of governance and oversight rests with each institution's own board of directors. The University of Michigan system (which comprises three public universities) has been overseen by the Board of Regents of the University of Michigan since 1817. If you reside in Michigan and are looking to continue your education by enrolling in an online college or distance learning program, you are at the perfect place to start. Michigan ranks 34th out of the 50 states in percentage of people with a bachelor's degree. Enroll in your continuing education program today.